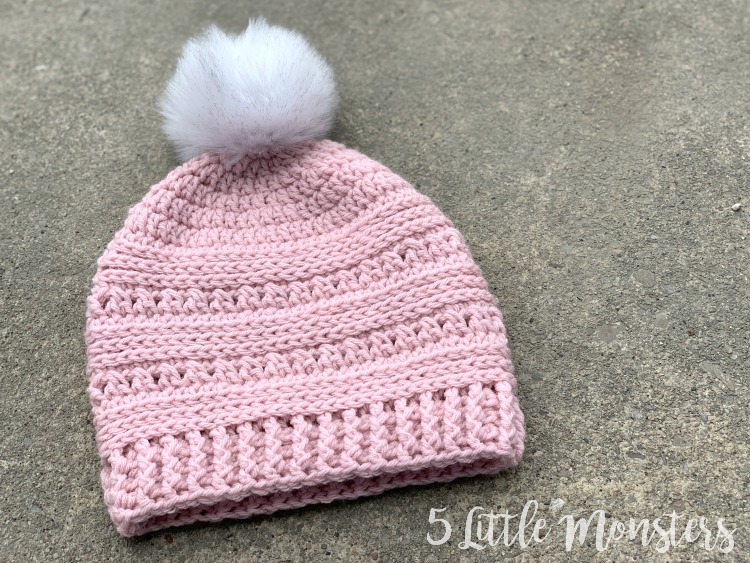 I have gotten a little behind on sharing some of my new crochet patterns, so even though it is officially spring and probably a little late for a new winter hat pattern I am still going to share it. I thought about waiting to post it until closer to fall but decided to just go ahead and post it now since I have it ready. We did have snow in Utah just a few days ago so you never know. But I also know a lot of crocheters who crochet things like hats and scarves all year long to sell at craft fairs or give as gifts later in the year. 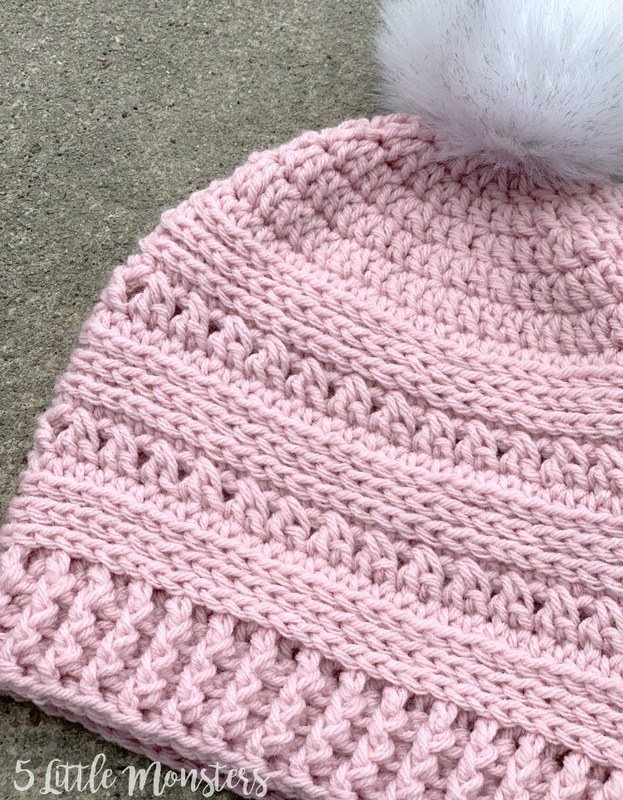 My bead stitch hat is one of my favorite patterns I have ever created, and one of the most popular on my blog. As much as I love it, I thought it would be kind of fun to make some variations using different stitches in place of the bead stitch. For this pattern I used crossed double crochet stitches. 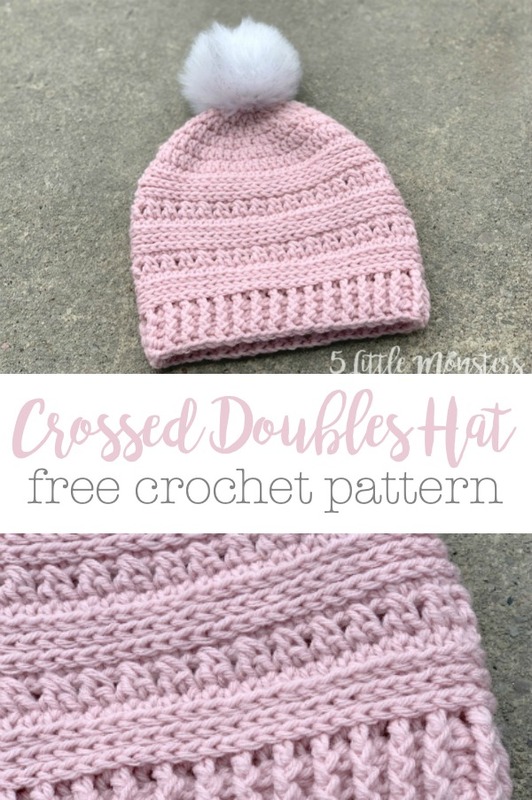 It uses the same sections of half double crochet as the bead stitch hat. The bead stitch rounds in between are replaced by rounds of crossed double crochet stitches. 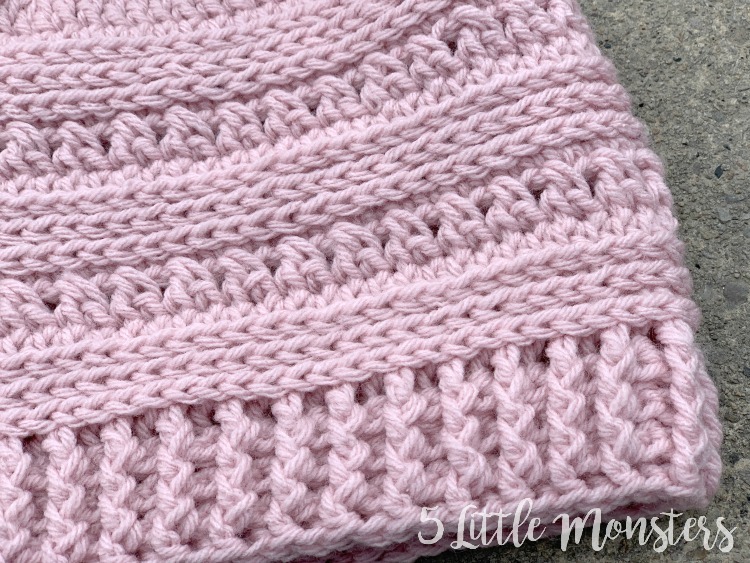 I wanted to choose a stitch that would have a little texture and would give a nice contrast to the half double crochet stitches. I tried out a few different stitches and will share a couple more variations soon. It is a little on the long side, but I did that on purpose so it would be a little slouchy rather than fitting snug against the head. 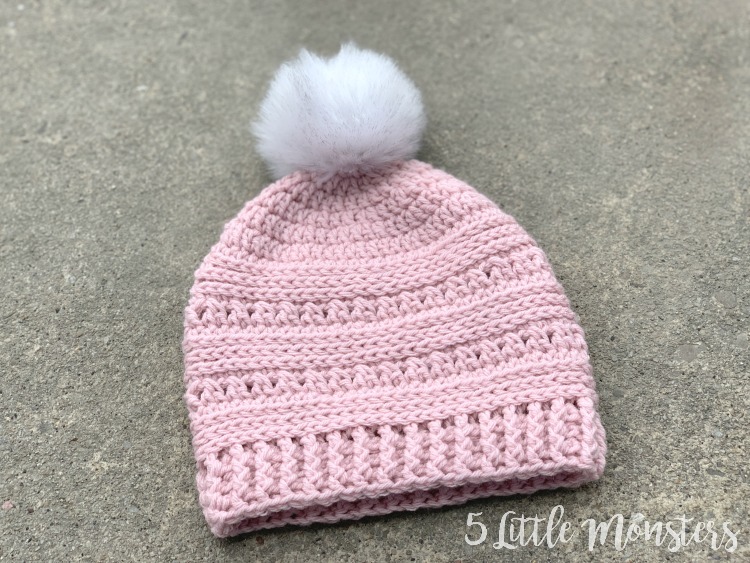 If you want a shorter hat you could do a shorter ribbing section, maybe 2 rounds instead of 4, or you could take out 1 round of half double crochet from each of the hdc sections (so there would be 2 rounds instead of 3 in each of those 3 sections). Either of those options would give you the same style of hat without as much length. I have also seen people either cut out the ribbing all together or completely take out the last section of hdc (rounds 17-19) on my bead stitch hat which is made the same way and size as this one, so those would be some more options.